Q: How did you originally get involved with shamanism? A: There have been pivotal moments in my life which inclined me towards what we call shamanism, many of them taking place before I even knew what the word meant. 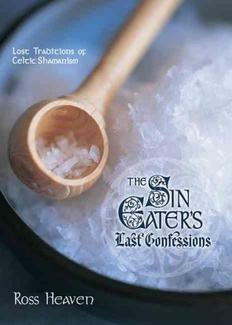 My early experiences of working with a sin eater (a spiritual herbalist and specialist in spirit extraction medicine) are told, for example, in my book The Sin Eater's Last Confession: Lost Traditions of Celtic Shamanism which remains one of my favourites among those I’ve written. Another of these moments was my first visit to Peru in the late 1990s to work with the curanderos, huachumeros and ayahuasceros there (the term shaman does not exist in Peru or most other cultures; it is a word from Siberia and has a very specific meaning there. In Peru the medicine men have various names. Curandero means healer, a huachumero works with San Pedro and an ayahuascero with ayahuasca). I’d gone in search of meaning and to drink the teacher plants for guidance and they did actually change my life. They told me to give up my well-paid job selling death (pharmaceutical drugs) to people who needed genuine healing, to give the business suits to charity, give back the BMW and become a healer instead – a curandero. When you are told something like that by spirit it is a real test of faith and sorts the men from the boys – those who want to be ‘weekend shamans’ and those who are prepared to really trust their spirits and have faith in the intelligence of the universe. I did what I was told and became a full-time healer so that was my initiation if you like, the moment when I fully entered the ‘shamanic’ profession. All of this will be told in a more detail in the new book I’m just writing which is called Drinking the Four Winds, about my apprenticeship with San Pedro, the mescaline ‘cactus of vision’ in Peru and Spain. Q: What do you think are the main benefits of shamanic techniques for healing? A: Nothing else works; it’s as simple as that. Curanderos know that we have four bodies or ‘selves’: the physical, mental, emotional and spiritual, the physical self being the bluntest expression of what is all essentially energy in flow or, if you prefer, soul. Furthermore, every dis-ease or illness we have – even a cancer or a heart attack – originates in the unseen spiritual world, stress being a modern example. There is no such thing: you can’t pick up A Stress, smell it, taste it or hear it; stress is a mood, a feeling or an atmosphere, something intangible and unseen – and yet it can still give you cancer, a stroke or a breakdown. Medical professionals work at the blunt end of the spectrum: they deal with the nuts and bolts of the body so they can remove your cancer – the symptom of your illness – but they never get to the cause of it and heal that so you may leave hospital and go straight back to the stress that caused you to get sick in the first place. Shamans are interested in causes and origins. We want to know what caused your stress, why your soul is unbalanced and your life is unhappy because if we can cure that the cancer will leave by itself and needs never return and, furthermore, your life will improve in all areas. Of course to the Western-indoctrinated mind that claim sounds a little incredible but in my books, like The Hummingbird’s Journey to God, I offer case studies from a number of people who I have seen cured in one sitting from illnesses such as cancer, diabetes, paralysis, alcoholism, grief and trauma by simply drinking San Pedro and spending a day of healing with a curandera in Peru. Q: What are the main misconceptions that people have about shamanism? For example, do you find people thinking that it is just an excuse to take mind-altering substances? How do you address these concerns? A: For me, the main misconception about shamanism in the Western world is that ‘core shamanism’ is a real and actual shamanic practice. It isn’t and it never was. 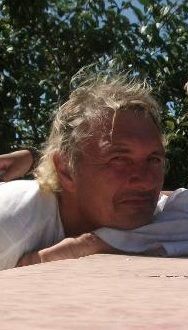 It is a system invented by Michael Harner which uses shamanic ideas as its basis but is more psychologically orientated to suit the Western mind and would not be recognised as real shamanism by any particular culture of the world. Harner began his work in shamanism by drinking ayahuasca with tribes in Ecuador. That is what inspired him to develop a shamanic practice. And yet there is no room in core shamanism for entheogens and I have even heard some core shamans misguidedly saying that plant medicines are unnecessary in shamanism or even that they shouldn’t be used. Michael Harner and I will both tell you that there is a big difference between a 20-minute drum journey where you enter a light trance through a process of active imagination and a four-hour journey with ayahuasca where you plainly see – eyes open – that the room you are in is filled with spirit and that the woman in front of you is without doubt infected by a repulsive and malignant energy rather than you imaging that she is ‘filled with snakes’. I read in a Harner interview once his claim that drums were used to alter consciousness in '90%' of shamanic cultures worldwide and that is why core shamanism uses them. I dispute that. They are not used at all in the Amazon countries for example or in the Andes of Peru and there is no evidence for their shamanic use in the UK or other parts of Europe. His 90% claim may more likely apply to the rattle which is used more universally. But in 100% of countries where healing or teaching plants are available they have always been used by shamans. Plant spirit medicine is at the basis of all shamanic practice. Core shamanism doesn’t even look at this, which is another reason why this approach is rather limited, although, as far as it goes, it does have value and application and it helps people so that’s fair enough. But please, core shamanists, don’t ever make the mistake of trying to convince an Amazonian shaman that you’re a real shaman too. I heard of one core shamanic teacher in the UK who tried just that with the Kalahari Bushmen and they walked away laughing. Q: Do you think that the laws regarding shamanic plants such as ayahuasca, San Pedro and fly agaric mushrooms in the UK and Europe should be changed? If so, in what way? A: Yes I do think the law should be changed. In particular I think it should be made compulsory for every lawyer, judge, policeman, politician, teacher, statesman or anyone else who wants to be a ‘leader’ to drink ayahuasca at least three times and San Pedro at least once. Then they might actually know what they’re talking about and see what the world needs (and it’s not their personal economic gain) before they pass sentence on others or tell us how we should behave. I am deadly serious about this too. Q: It seems to me that some modern shamanic practitioners distance their work from any specific religious path, yet traditional shamans would have been very closely connected to the religious beliefs of their people. Do you think this is true and does it matter? A: I went to a workshop at a shamanic conference in the UK once and the teacher running it asked everyone present if they believed in God. Not a single person raised their hand, including the teacher, except me. I could say yes to his question because I have actually met God – or at least come close to it and felt the presence of God – through my work with the plants, especially San Pedro. Now, I don’t mean by ‘God’ the same thing as a Christian, a Muslim or any other denomination of an outmoded and dysfunctional religious system. I mean that I know without a shadow of doubt that there is an intelligence to the universe, a sentient aware energy that is a part of everything, including us, and that everything in the world is alive and has spirit. It is this intelligent energy that shamans work with so for that teacher and his students to deny the existence of the very energy they work with was to deny their own faith in the power of healing and their ability to heal, so not a great recommendation for any shaman I’d like to visit. The shamans I work with in the Amazon and Andes have absolutely no doubt in the existence of God. They are people of faith and their healing is therefore effective. There are differing tribal conceptions of what this God may look like and what He, She or It expects from us, of course, but that is just a cultural gloss. Beneath it all what the shaman knows for certain is that the universe is teeming with intelligence and energy, that this energy is also a part of us, and that we can work with it to heal. It really doesn’t matter if you believe in a religion or not but you must have faith and some conception of a Creator – a creative force that inspires and guides us all – or you’re not a shaman and you can't heal. It’s as simple as that. Q: Some people use the term 'hedge witchcraft' to describe a kind of traditional witchcraft that uses shamanic techniques such as journeying. Do you see there being much connection between shamanism and witchcraft? A: Why not? My first experiences were with an old sin eater in Hereford. I guess we might call him a ‘hedge witch’ in the sense that he worked with the spirit of herbs and plants and what we might call shamanic techniques to invoke trance and altar consciousness. One of the ways he did so was through the use of ‘magic’ mushrooms but there were other practices too. I really don’t think it matters all that much what we call ourselves as healers but to be a good one a knowledge of teacher plants and faith in God are absolutely essential. Without them you can call yourself Lord of All Creation and Master of the Universe if you like and you will still lack power and effectiveness. Q: If someone approached you saying they wanted to start learning about shamanism, what would you suggest – apart from reading your book Medicine for the Soul, of course? A: A workshop would be the first thing. Workshops have become our modern form of apprenticeship and are a fast track to achieving an ‘initiation’ – a beginning – in shamanism, giving a basic introduction to the theory and practice of shamanic technique. But then I would strongly suggest that they joined me in Europe or Peru to experience teacher plants so they could see what the universe is really about and what traditional shamans mean when they talk about ‘spirit worlds’. Without that component – essential for real shamanic work – workshops in Western-style shamanism have some value but are very limited in what they can teach. To have faith in God you need to know God directly and that is what these plants give us. Hmm. Ross Heaven is a highly dubious individual in my opinion. In this interview he refers to his alleged experiences with a sin eater in Herefordshire as if they were fact, a claim he doesn't even make in the book in which he describes these "experiences". The truth is that his book "The Sin Eater's Last Confession" is uncannily similar in many respects to Simon Buxton's earlier published work, The Shamanic Way of the Bee, even down to chapter headings and the spiritual name of their respective teachers, "Bridge". Having initially supported the authenticity of Buxton's book and vouched for the existence of The Path of Pollen and Buxton's "Bridge", Heaven now denounces it all as a complete fabrication which he ghost-wrote. What he can't answer, however, is why on earth he would have assisted Buxton in ghost-writing a fabricated tale of spiritual apprenticeship when all the time he was sitting on his own "genuine" experiences with the sin eater. As well as having a bitter fall out with and losing a court case to Buxton, Heaven also managed to fall out with his vodou teacher, Mambo Racine, the details of which are all over the internet. Heaven and Racine denounce each other as fakes and charlatans, yet Heaven still stands by his book "Vodou Shaman" which passes on these "fraudulent" teachings of Racine. Heaven now moves on from forum to forum, hoping to find unsuspecting new audiences who are unaware of his highly dubious track record. There are many reasons to doubt the truthfulness of Ross Heaven's Sin Eater book. If one googles Ross Heaven Vodou, one of the first items that comes up is an interview he gave to the Metro newspaper on 13th Jan 2004. When asked how a bloke from Sussex became interested in vodou, his response is that he was researching his first book on spiritual traditions "but I was also looking for a spiritual tradition for myself - we don't have those things in the UK". Where does that leave his alleged formative experiences with the sin eater then? "I'll be as brief as possible. I was drawn to undertake Path of Pollen workshops and trainings having read The Shamanic Way of the Bee and taken it on trust that the book is, as it claims, an authentic account of the author's initiation into the Path of Pollen. What I have recently discovered has shaken that trust considerably and left me wondering if I have been a) duped and b) exploited. "As you will see, it appears that significant passages in The Shamanic Way of the Bee (TSWOTB), including whole paragraphs, appear to have been lifted virtually word-for-word from the much earlier essays of the late P.L. Travers, who is best known as the author of Mary Poppins but was also a lifelong student of and writer upon myth and fairy tales. Worse still, these key passages are variously presented as either the dialogue between Bridge and Twig in TSWOTB and also the first person narrative. There is no indication that use of the passages in question was authorised by P.L.Travers or her estate and P.L.Travers' work is not acknowledged either in footnotes or the bibliography at the back of TSWOTB. "Some people may not care whether or not there is any truth in TSWOTB or if it is simply one man's eloquent modern fantasy, but to me at least there is something deeply unethical about passing another's words off as one's own and it raises serious questions about the authenticity of the Path of Pollen as a whole. I present some of the evidence below for you to make up your own minds. It's noticeable that Ross Heaven fails to address any of the points made by the first poster about the authenticity of his own work, presumably because he can't. Indeed, it seems as if he and Buxton thoroughly deserve each other, both being cut from the same plastic tablecloth. Perhaps the pair of them should have a face-off (or should that be fake-off) using their respective 'powers'. One suspects that the spectacle would fall some way short of Potter vs Voldemort. Sadly this man Heaven lost his way a long time ago. He is so infected with bad karma I wouldn’t want to be anywhere near him when it gets delivered! Delusional would be a good one word summary. Well known in shamanic circles for having no professional (or personal) integrity. It is good to see people speaking up about him. Anonymous - I always like to see discussions taking place on my blog. I've asked Ross to respond to some of the comments made here - so look out for his reply. It is lovely if people leave their names on comments, as it makes it easier to see who is talking.